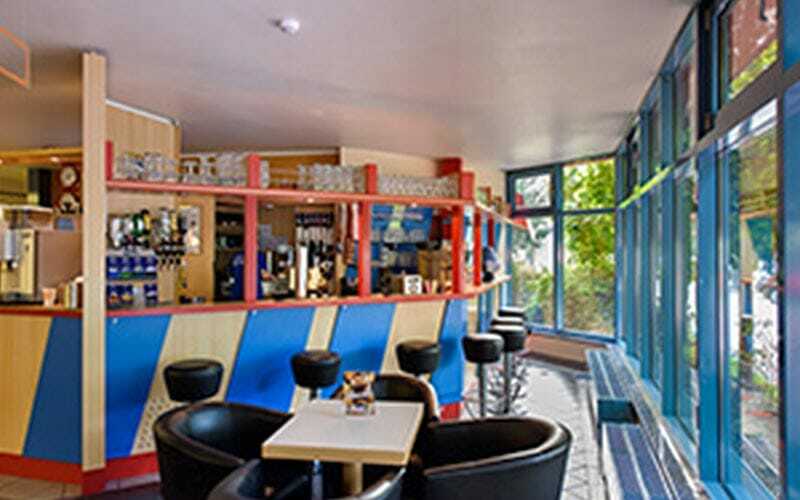 If you're wanting seafront accommodation that's right by the main nightlife area of Brighton, we've got the accommodation to suit every group. 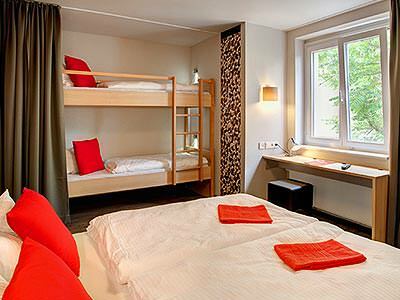 Take a look are our hand-picked accommodation options and see for yourself. 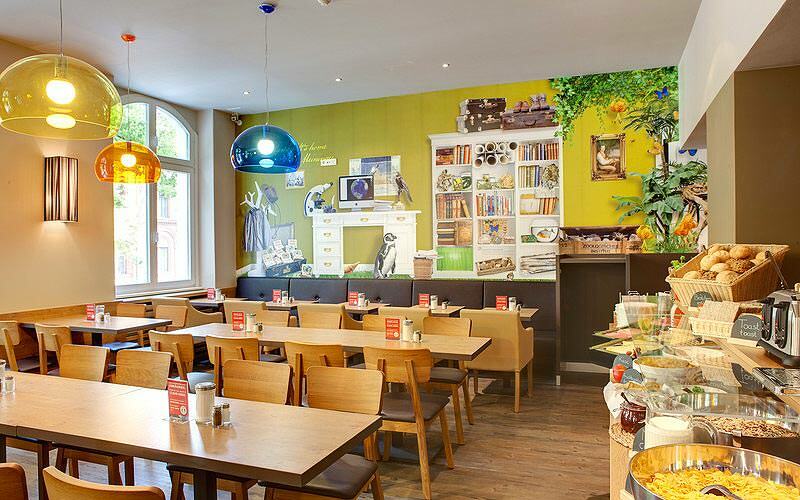 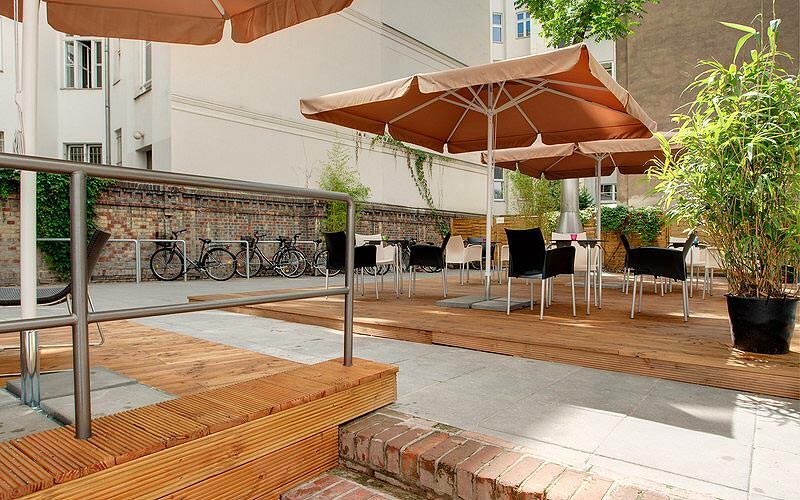 This hotel is set in the famous Prenzlauer Berg district. 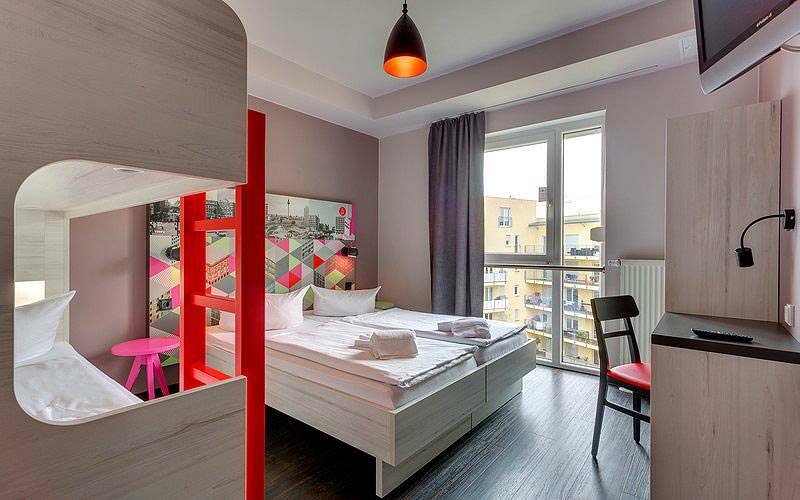 Experience the legendary Mitte district at this 3-star hotel. 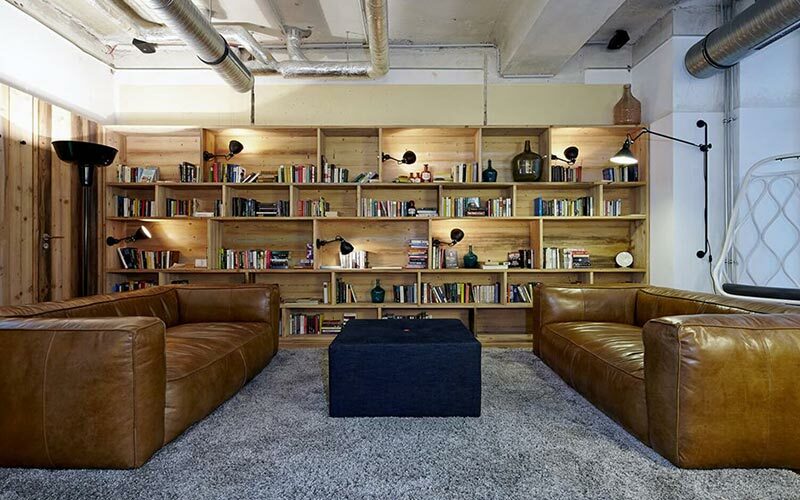 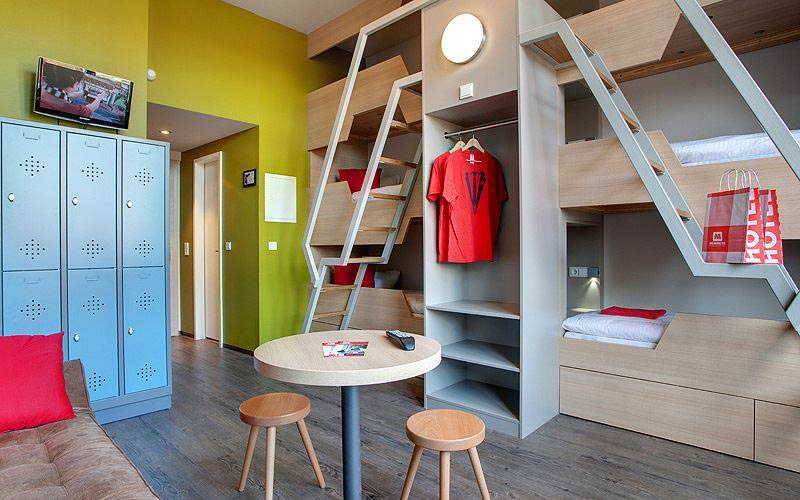 Cool, quirky and modern – this edgy hostel has it all. 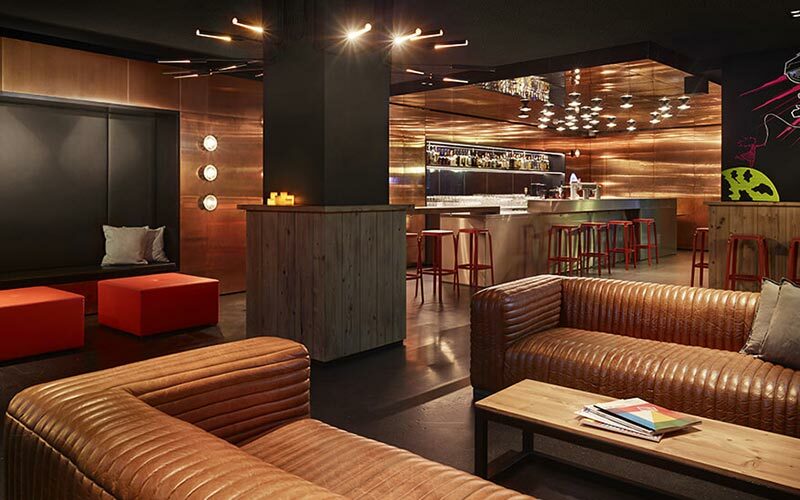 Crash out in one of Berlin's most iconic hotels. 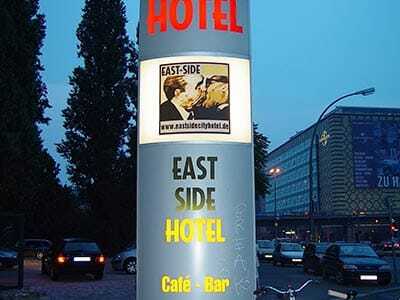 Sample a bit of Mitte on your Berlin last night of freedom. 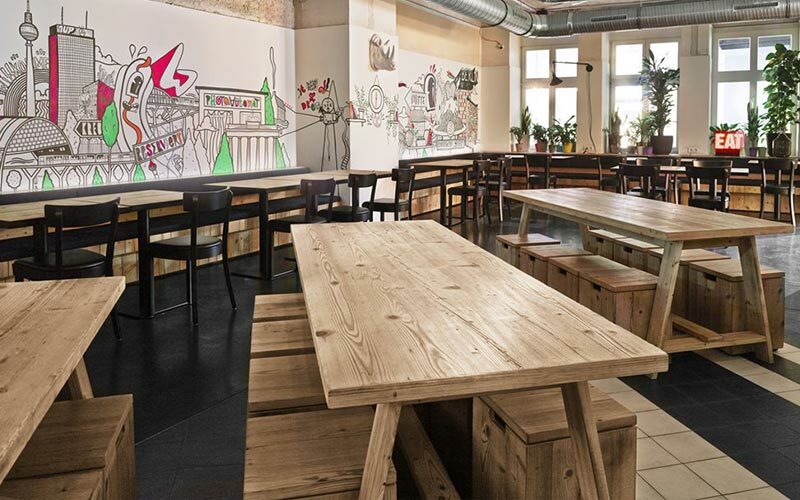 Perfectly positioned for a wild one in the German Capital. 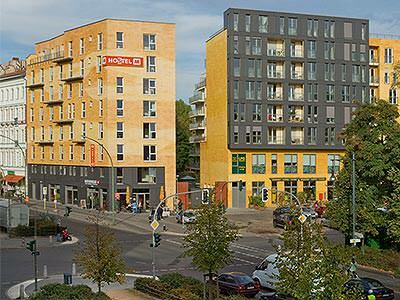 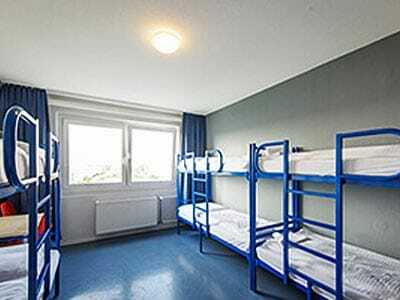 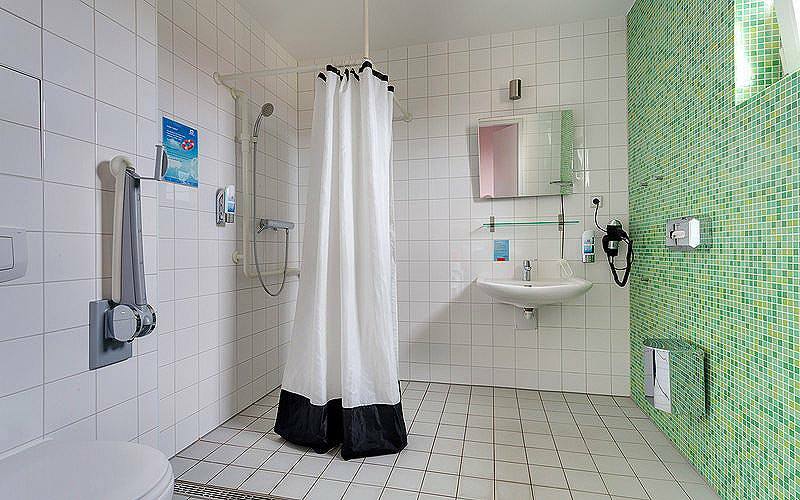 Which Types of Accommodation are Available in Berlin? 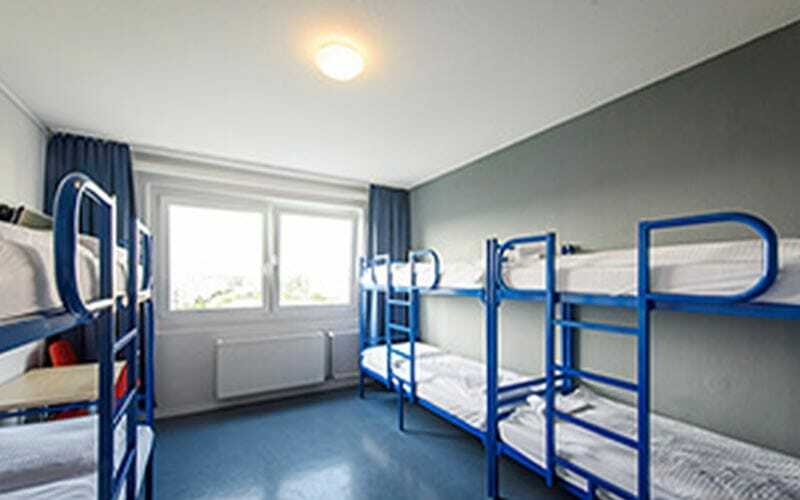 We have nearly 20 hotels and hostels for you choose from in Berlin, with options to suit large or small stag dos and catering for all budgets - whether you’re looking to treat your stags to a luxury weekend away or prefer to save your Euros to spend on the beers. 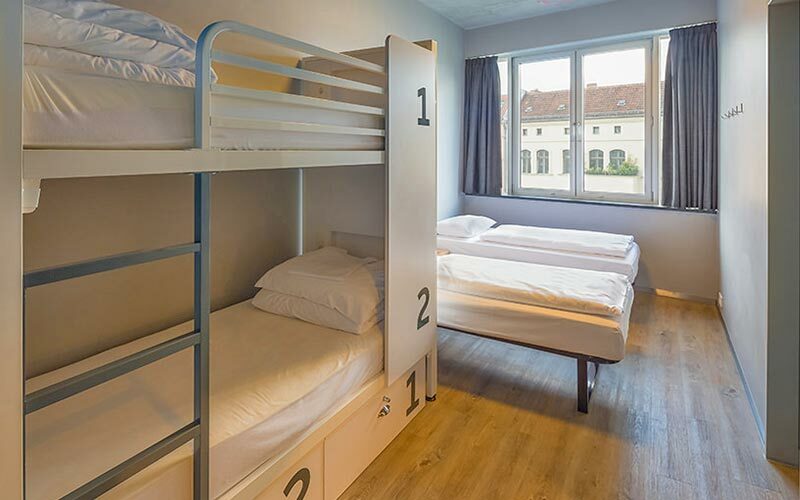 If you and the lads are looking for nothing more from your accommodation than a place to dump your stuff and catch a few Zs, we can offer you an array of hostels – mostly run by super cheap A&O and Generator – to give you the freedom to keep accommodation costs down and splurge on activities (or beer) instead. 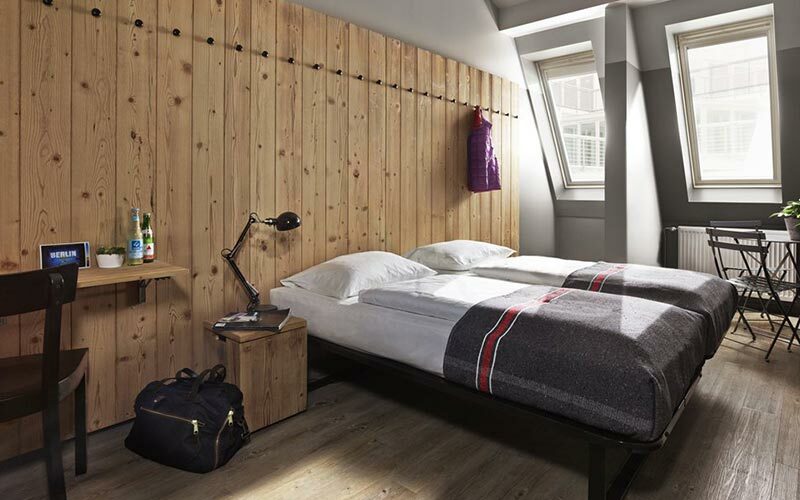 Want a few more creature comforts? 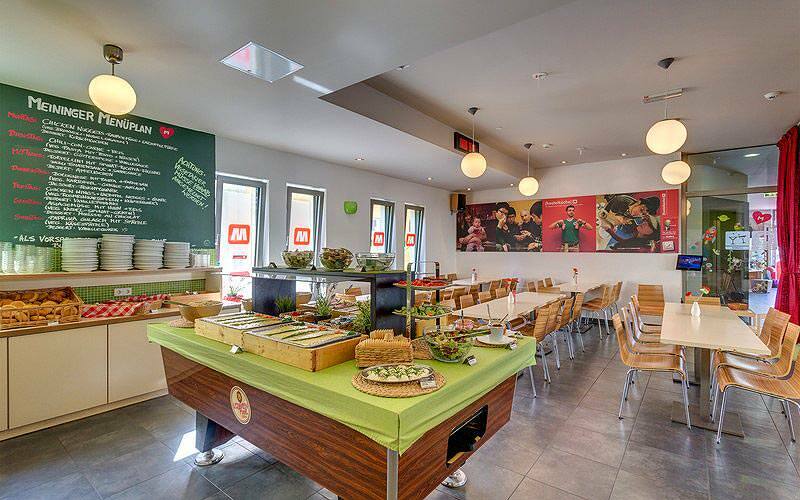 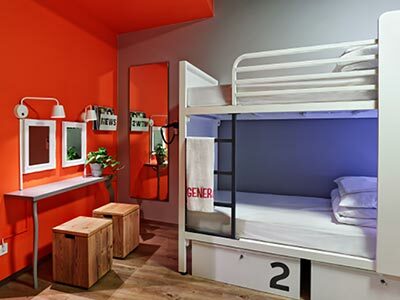 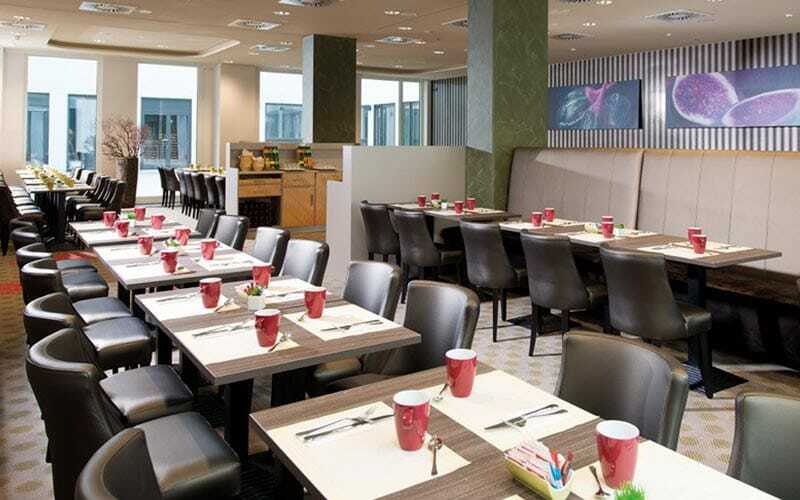 In the mid-price range, Meininger Hotels offer the convenience of dormitory accommodation with a cool modern twist – think upmarket hostel with on-site facilities including bars and games rooms. 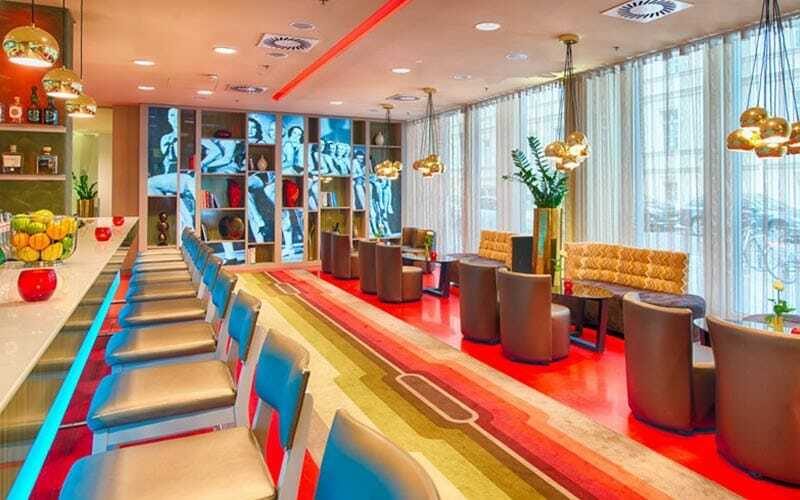 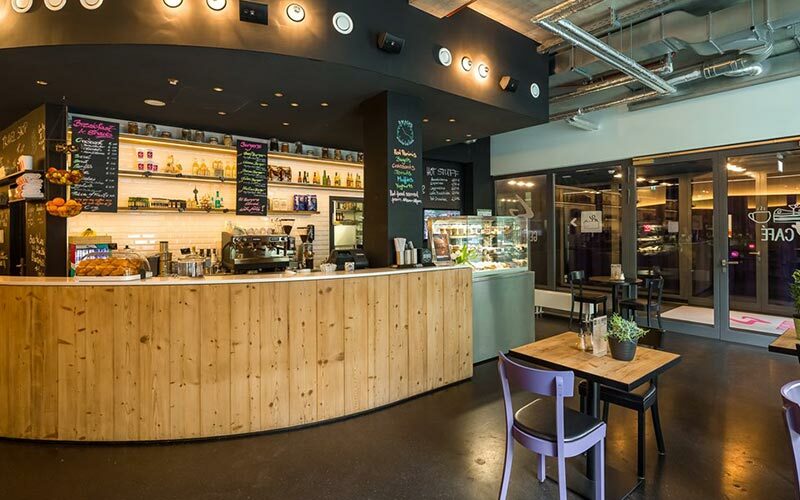 Alternatively try the colourful and funky B&B Hotel on Potsdamer Platz, or the quirky East Side Hotel which has its own sun terrace and nightclub, so you can keep the party going even after returning to your base. 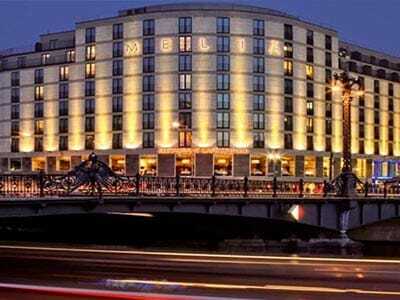 If you’re looking to splash the cash and go all out to make it a weekend your stags won’t forget in a hurry, look no further than our selection of top hotels, including the spectacular Melia Berlin Hotel located on the south bank of the River Spree, a show stopping option for a comfortable and luxurious stag do complete with its own lounge bar and tapas restaurant. 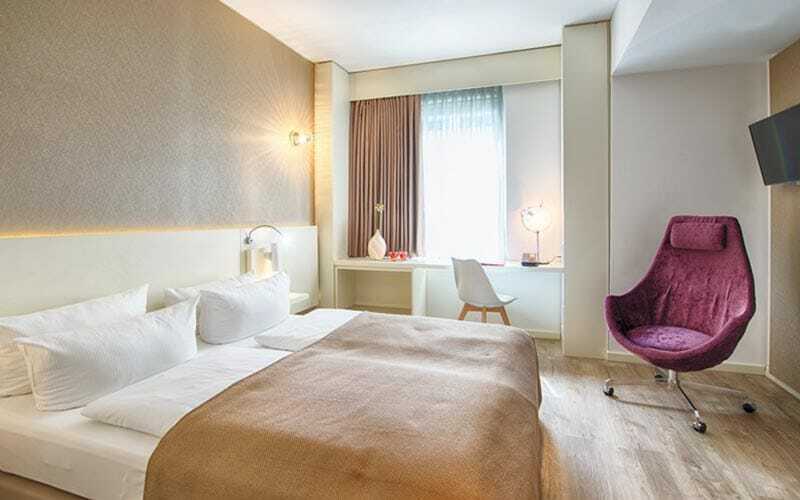 On the other side of the river in the heart of the city is the eye-catching glass-fronted Arcotel Velvet, or the Leonardo Hotel which boasts a wellness suite with sauna, both just a few minutes walk from a wealth of bars and restaurants. 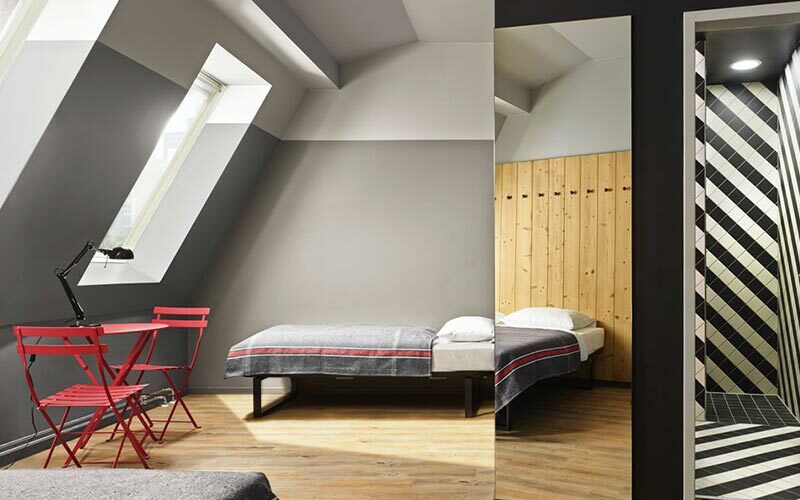 When it comes to location, you’re never far away from the fun in Berlin, and we have accommodation spread across a few of the most central boroughs. 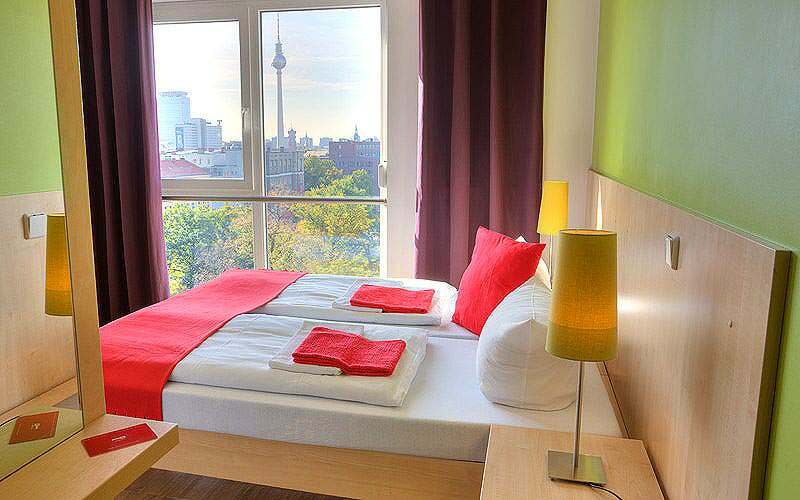 The Mitte borough comprises Berlin's historic core and includes many of the most notable tourist attractions in the city: Museum Island, Checkpoint Charlie, and the Brandenburg Gate to name but three. 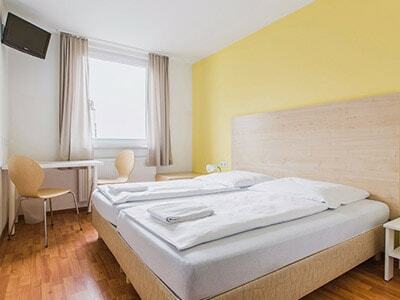 Also conveniently located near the central train station, a large proportion of our accommodation offering is situated in Mitte and will guarantee you’re at the heart of the action. 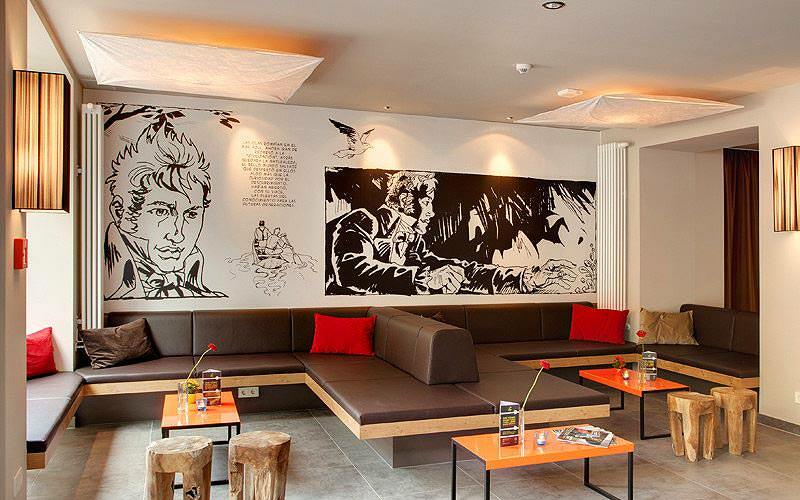 We have a cluster of hotels available in the more bohemian, multi-cultural borough of Friedrichshain-Kreuzberg, a little further from the centre but still ideally located for a number of nightclubs and other attractions. 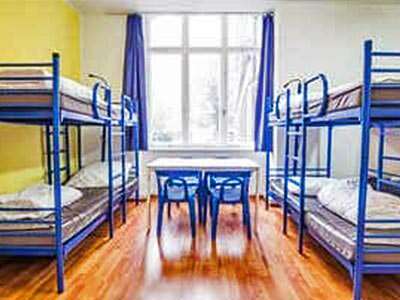 Why slum it on your Berlin stag, when you could stay somewhere like this? 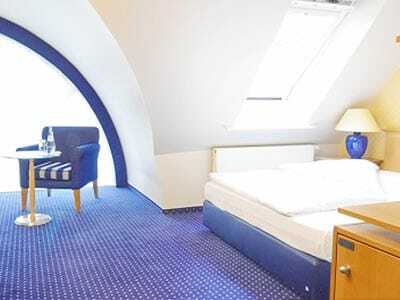 Berlin is a big city and our hotels range across the city centre and reach out a little further into neighbouring boroughs, however, with so much to do, you’ll find plenty close to your hotel to keep you occupied wherever you choose, as bars, clubs and restaurants are spread out all over the city. 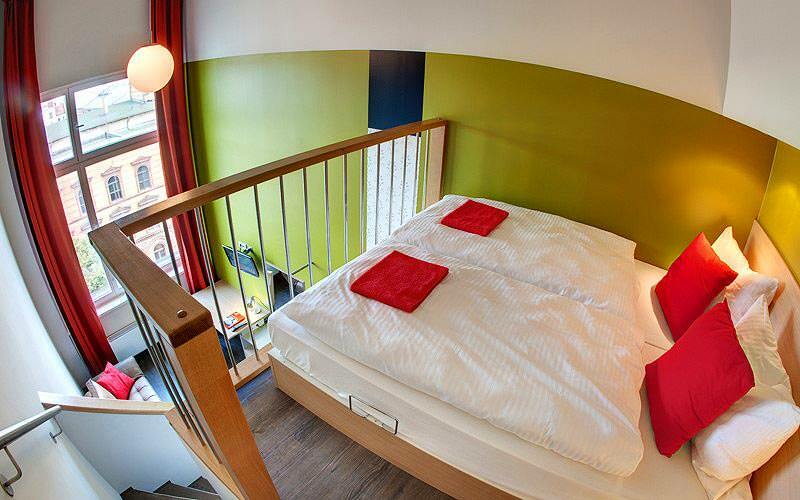 As stated, the majority of our accommodation in Berlin is clustered in the Mitte or central borough, meaning you’ll be able to get around easily on foot or by public transport. 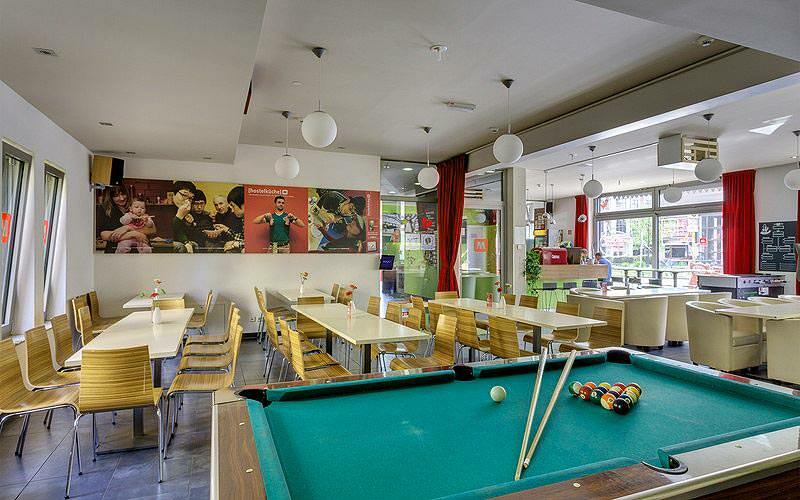 A couple of the hostels in our budget range are situated a little further out of the city so you may need taxis if you’re looking to spend the night at the heart of the action. 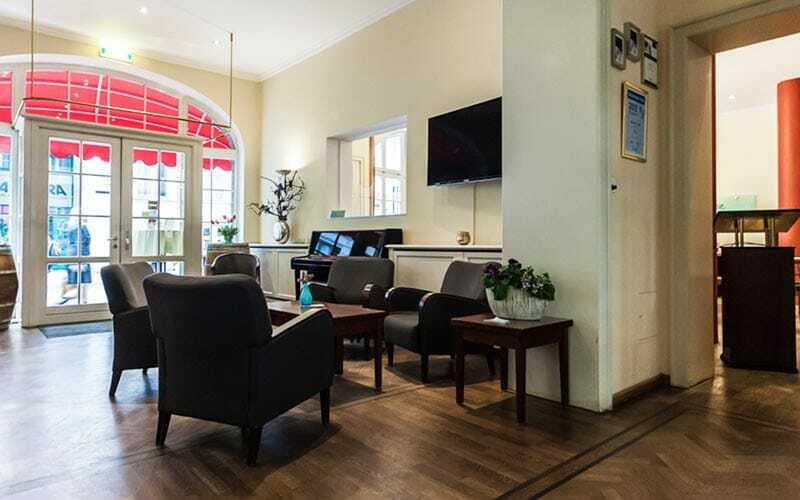 At LNOF, we have reserved room allocation within all of our hotels, apartments and hostels in Berlin, but on certain weekends, these do fill up extremely quickly. 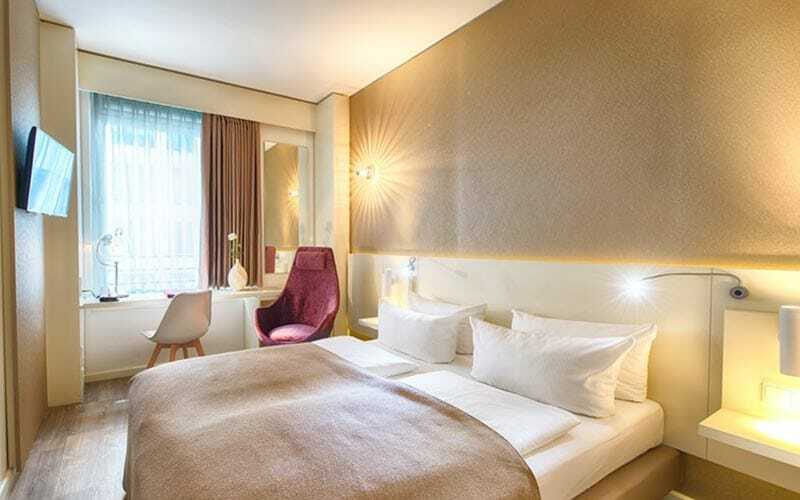 For example, busy dates in Berlin include the first May Bank Holiday, Christmas and New Year, Gay pride weekend, ITB Berlin, Ascension Day, Pentecost and the Berlin Marathon. 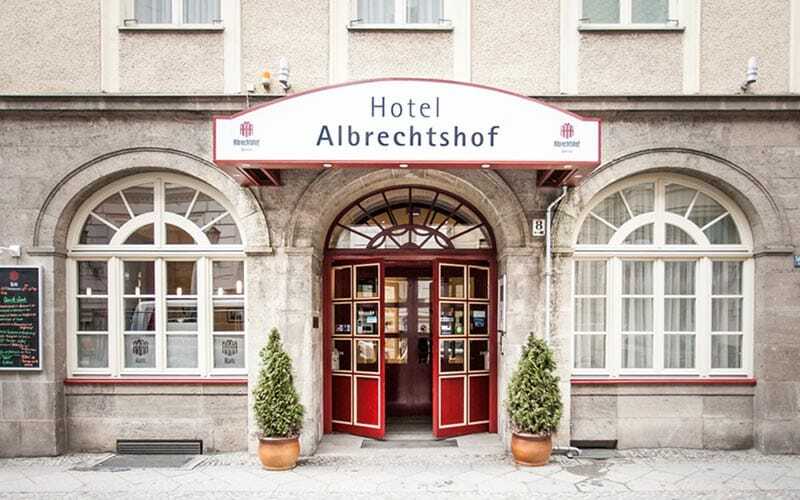 It’s important to be aware of big dates like this in the Berlin calendar, which is why your LNOF sales team member will mention them to you upon your enquiry. 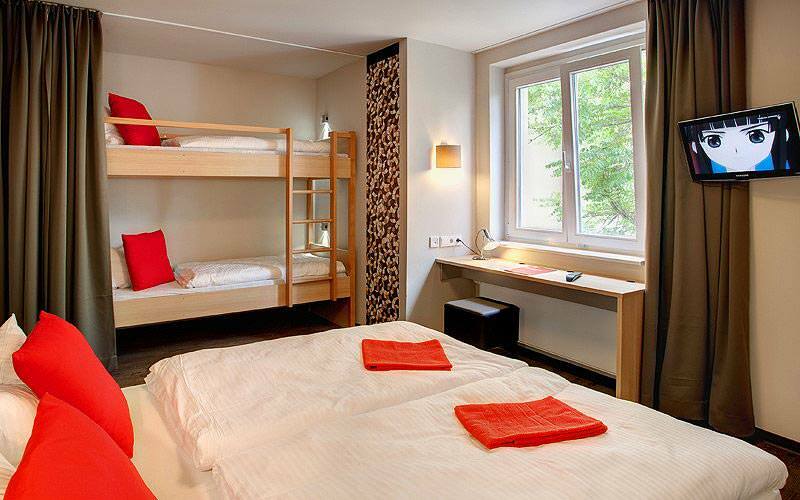 We always recommend booking up early, especially on these weekends, to save disappointment. 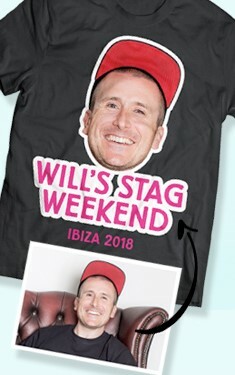 Yes, completely. 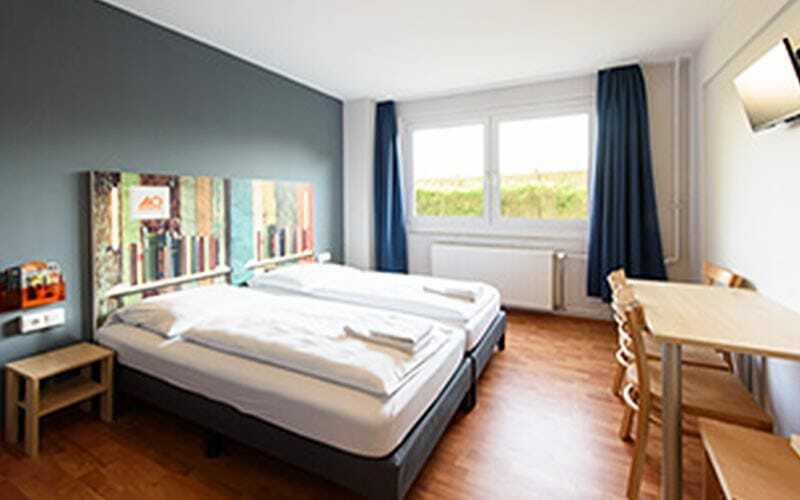 Booking with LNOF will allow you to travel with confidence, and not have to worry about losing out if anything happens regarding your accommodation. 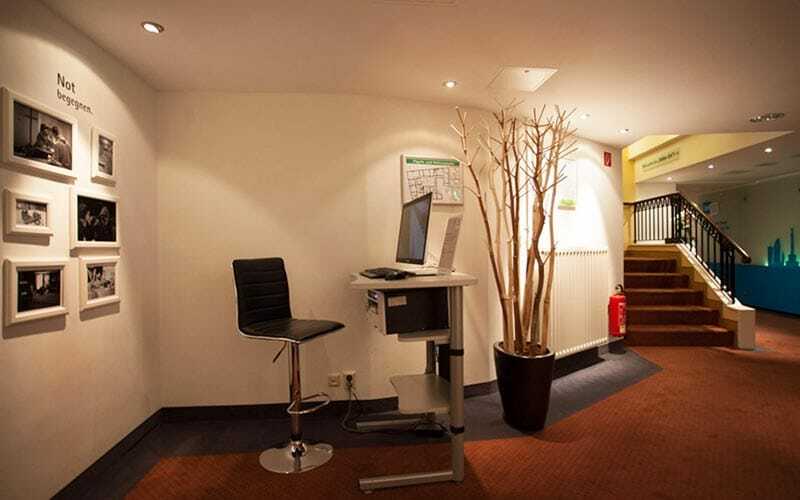 Being ABTA protected (Y6354) and a travel accredited company, Last Night of Freedom guarantee your legal protection. 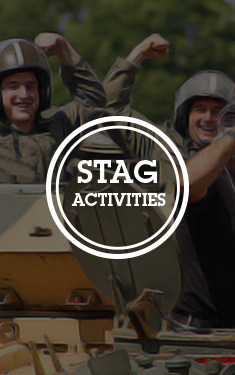 See here for more information on how ABTA affects your Berlin stag weekend.